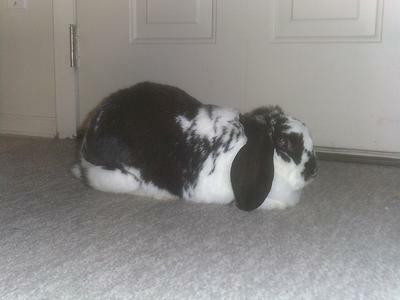 My Pet Rabbit Blog keeps you up-to-date with all additions and changes to the mypetrabbit.com Web site. Subscribe to this blog by right-clicking the orange button on the left side of this page & copy-paste the URL into your RSS Reader. Or, if you have one, just click on the Google / My Yahoo! / My MSN / Bloglines button. Continue reading "Rabbit or Bunny Tips"
I am a student in fifth grade in Pacifica, California. We have a class pet bunny Named WINSTON! He is an otter bunny, that looks like a Netherland Dwarf. Continue reading "Winston The Class Bunny"
Continue reading "How Did I Ever Get So Lucky? My Bunny Ginger..."
Continue reading "The story of a smart bunny"
Continue reading "Orejas and luna"
Continue reading "Meatball the Holland Lop"